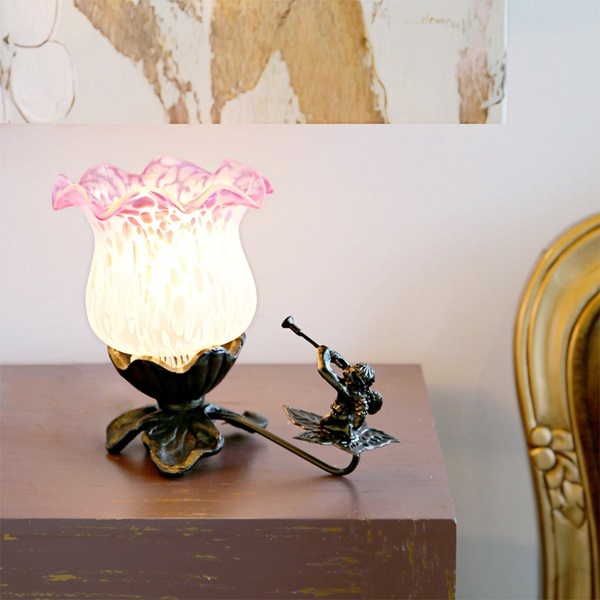 Vintage style with delicate charm. 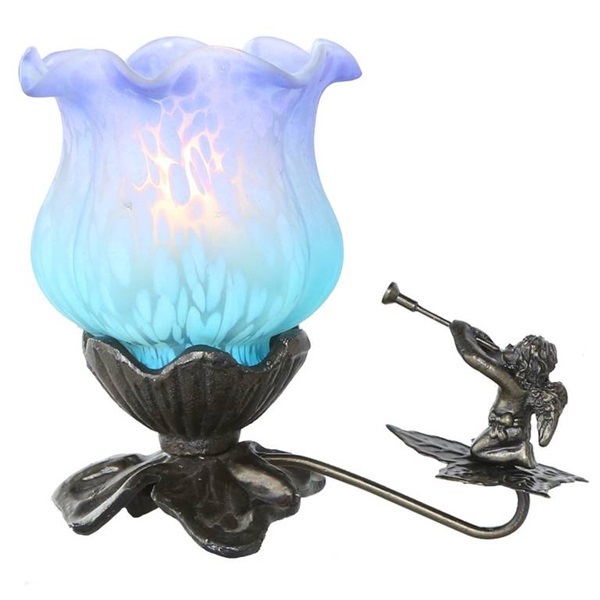 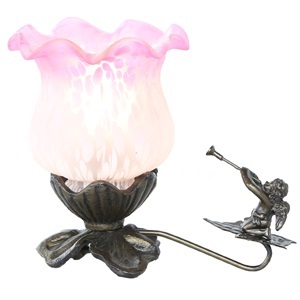 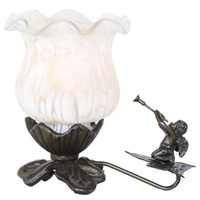 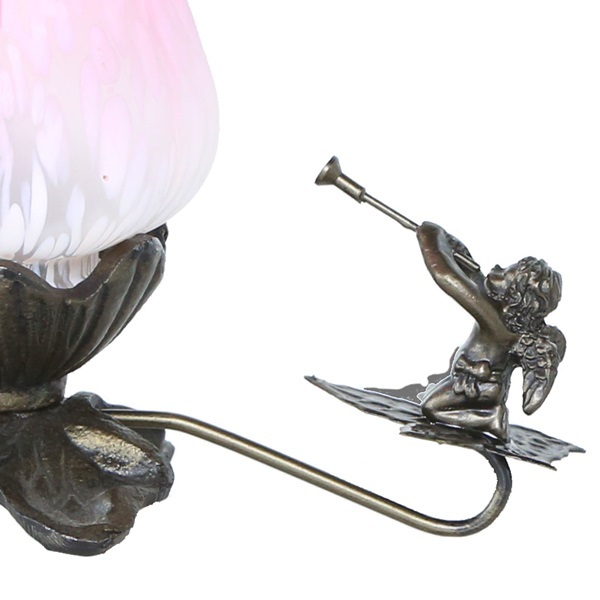 A handcasted metal leaf base adorned with a trumpeting cherub angel accentuates the artfully crafted handblown glass tulip lily shade in ombre colors. 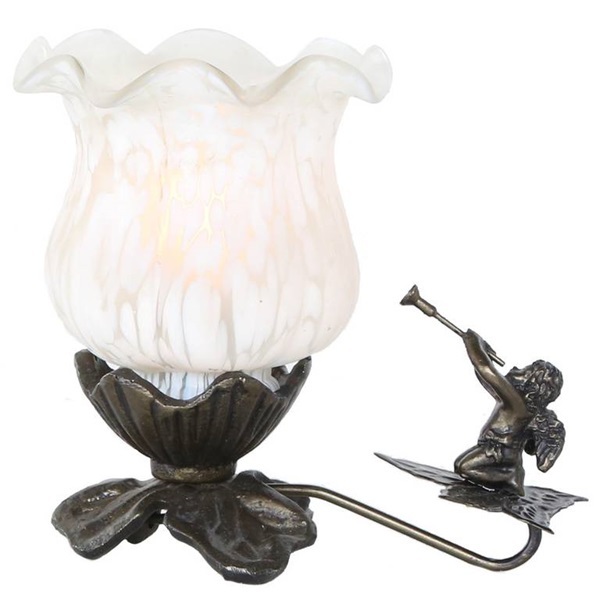 Inspired by the classic antique Louis Comfort Tiffany Pond Lily lamp, this lamp is sure to add a delightful accent to your home. 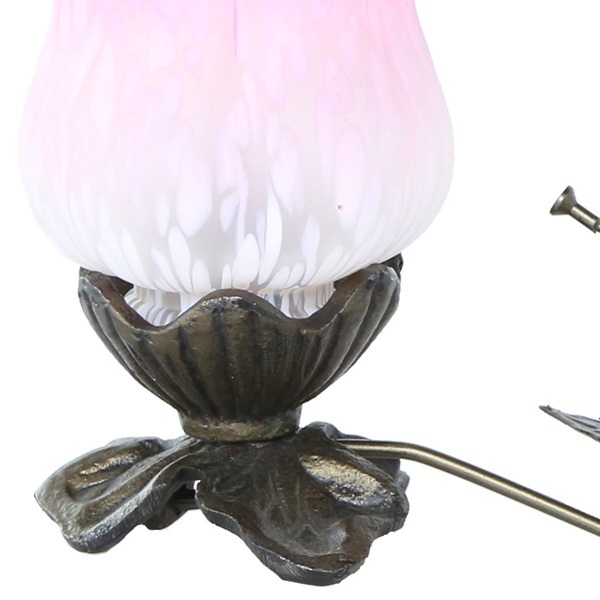 Aluminum	 E12, Type-B, 15W (not included PURPLE / LIGHT BLUE 6" 6" 4.625" / 2.1875" IN-LINE 4.625" / 2.1875"
Aluminum	 E12, Type-B, 15W (not included WHITE 6" 6" 4.625" / 2.1875" IN-LINE 4.625" / 2.1875"